It takes about 30 minutes to make one of these and you don't need anything other then your two arms. If you don't know how to arm knit check out How to Arm Knit on Google. 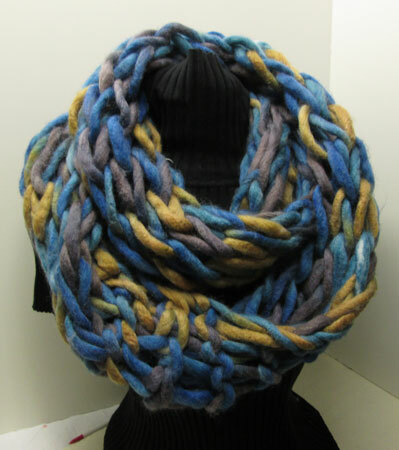 This cowl kit is made of a single stand of very bulky roving and comes in a 250 gram skein.